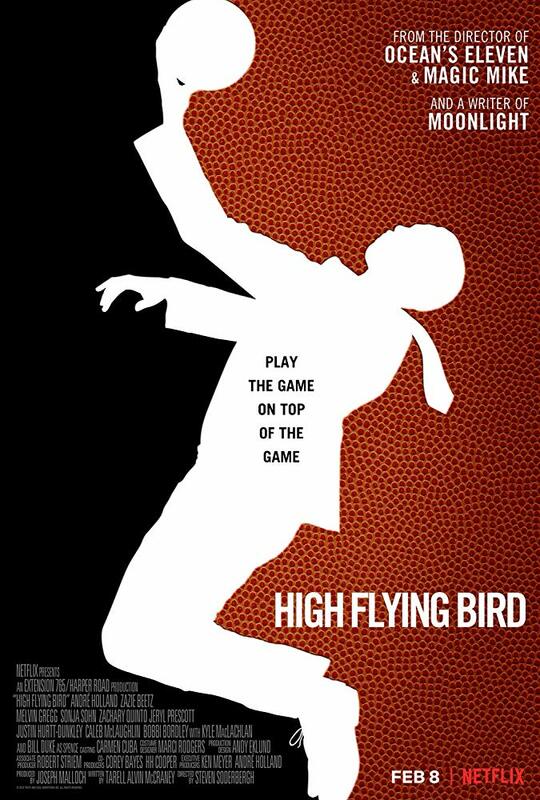 As an examination of the modern era’s game behind the game, with it being the busied business of basketball in this David vs. Goliath tale, High Flying Bird does its telling with too much crystal-clear traveling mistakenly deemed to be the good ol’ Euro Step. It’s a compelling film but never an engaging one. Thought-provoking yet unexplained. More stylish than it is substantial. 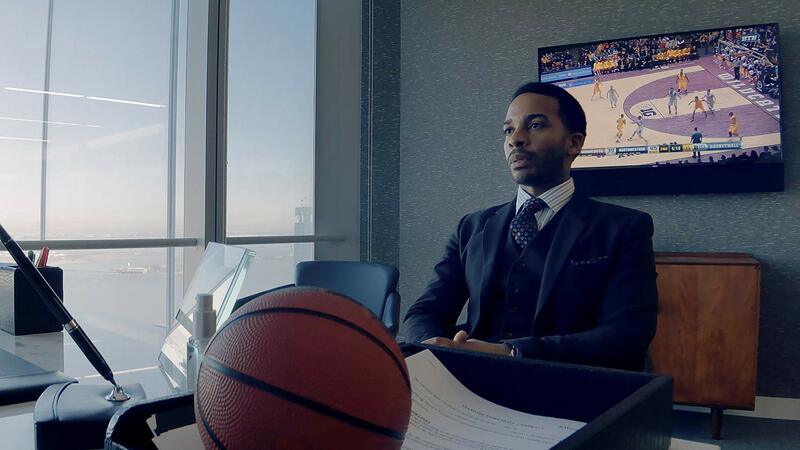 High Flying Bird looks great and has the kind of razor-sharp and critically thinking dialogue you’d expect to find in an Aaron Sorkin screenplay, except here the whip smart, wordsmith writing takes priority over the emotional development of the characters. This might be the most heartless yet impeccably crafted movie I’ll see this year. A lockout between the disputing players and owners sees no end in sight, and so sports agent Ray Burke (André Holland) attempts to take matters into his own hands, violently shaking up a system that’d rather be carefully stirred. It’ll take some help. Ray’s now former assistant Sam (Zazie Beetz) volunteers to play his calculated cat and mouse game, seemingly out of experiential intrigue. Player spokeswoman Myra (Sonja Sohn) becomes entangled, as does Spence (Bill Duke), the longtime figurehead at the rec center where Ray grew up playing and loving the game. And with number one draft pick Erick Scott (Melvin Gregg) laying in the wings, Ray navigates the streets and the courts and the economics of basketball with a careful eye for the pulse, always searching for an avenue to empower, as well as to enrich, the subjugated athlete. High Flying Bird isn’t just about sport or basketball, though. This movie really tries to understand and empathize with the experience of the black male athlete as a cash-cow pawn in a game owned and operated by rich white men. It’s respectable in that regard, even if the racial or social messaging of film itself doesn’t fully come to fruition. I liked three-quarters of the script by Tarell Alvin McCraney and only wish the film had been longer, thus giving depth and breath to a story that hardly, if ever, takes a moment to exhale and savor the flavor of its many strong scenes or great bits of dialogue. Then the film ends, quite abruptly, and I realized that not only was it missing character, but that the movie is missing important pieces of story. 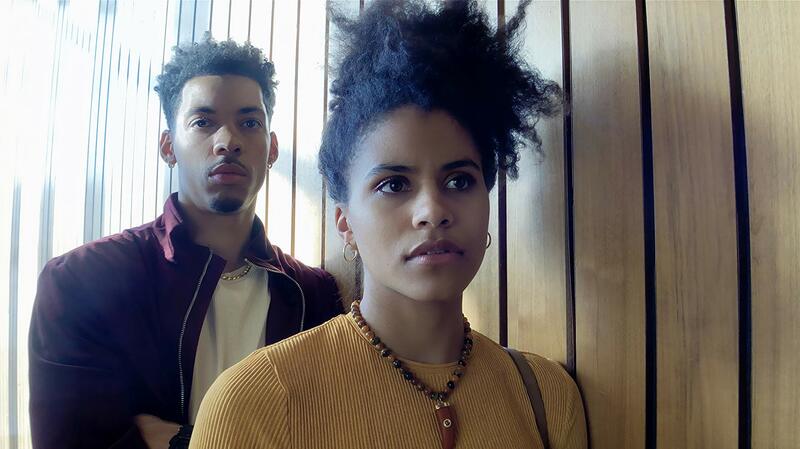 High Flying Bird is like a chic boutique with no stocked items to buy. You can admire the floor design all you want, but you’ll still leave empty-handed. I wonder what Spike Lee might have managed with this material. 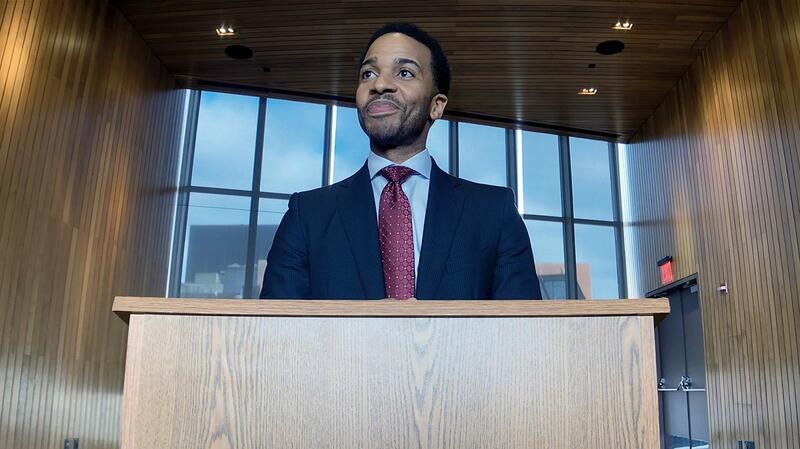 Had the film been better, or at the very least made the information more engaging and absorbing, I’d have argued that André Holland’s stellar leading performance as the disgruntled and deeply frustrated Ray was awards worthy. But Steven Soderbergh’s latest iPhone shot project – featuring some truly stunning cinematography that serves as an invigorating approach for new directorial voices, so long as you have a few million dollars to fuel the production side – doesn’t have a full-bodied script to explore the full use of its limbs. Instead High Flying Bird actualizes itself as a representation of the mythical Icarus, and its wings melt far before it ever reaches the scalding heat of the sun, floundering more than it flies.